So you survived your first parent conference for the year...KUDOS! Meeting your students' parents can be quite intimidating and stressful, especially for novice, young or youthful-looking teachers. I recall times I contemplated ways of purposely aging to avoid the often spoken or gestured, "That's your teacher?! ", communicated by parents whose imagined picture of me did not match their child's description of my class. I could always tell when they felt a little caught off guard by my youthful appearance. I overcompensated by making sure my wisdom, professionalism and maturity spoke volumes, causing assumptions about my age to dissipate. And then, there were those students who used parent conferences as an opportunity to play matchmaker by introducing their single male fathers and relatives. Although flattered by their consideration to have me as part of their family, it only added to my self consciousness. Regardless of what your hangups might be about meeting parents, there is one main ingredient to ensure your success with them: COMMUNICATION...COMMUNICATION...COMMUNICATION! More than likely, parents will complain about having no communication, very little communication or a miscommunication. Whether it is an excuse for them to pass the responsibility or place blame, it is still your responsibility to make sure that a parent conference is not the first time parents discover their children are failing or not meeting your requirements and expectations. With today's technology, there are too many ways to keep parents informed, as well as, means to document parents' message retrieval. Be sure, however, to check your district's policy concerning social mediums. Bottom Line: Keep every district-approved line of communication open and document it! It may seem frivolous now, but you will be glad you took the time if ever an irate parent accuses you of not sounding an alarm before failing their child. 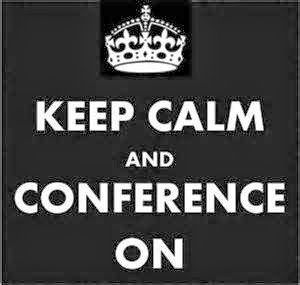 And guess what...you will no longer consider parent conferences scary and dreadful. Instead, you will welcome parents with the confidence and peace of knowing you made every possible attempt to connect. Now as far as youth and singleness....there are worst job hazards! Last year my son's (4th grade) teacher started a Google circle and had the children create Google accounts (gmail) for themselves as well. From Google docs and the share mechanism, children were allowed to edit written works from home and communicate online with their peers as well. In fact my then 9 year old improved my understanding of the tools and how to more efficiently use Google docs, especially the share apps. Just as important, I was able to look into what my child was doing from home by going into his gmail. Thank you for sharing Baba Ken! And yes, I agree, technology can be quite useful when used informationally! Kudos to your Writers of Passage workshop!